Where are ʻAnakē Kēhau and ʻAnakala Keola? Why are they whispering? Kapu provide boundaries and guidelines for appropriate behavior. Does your school have any special rules to help keep order? What are some rules at your home? After the death of Kamehameha, there were two opposing views about kapu. Who were the key aliʻi, and what was the difference between their views? Kapu still play a part in how we take care of the environment. Should some of the old kapu be more prevalent in Hawaiʻi today? Why or why not? Sometimes conflict happens when one side wants to uphold traditions and the other side wants to try something new. Talk with a grandparent or other kupuna to discuss how to balance the old with the new. Are both needed? To what extent? What happens when people don’t agree? ʻO ke ali‘i lilo i ka leʻaleʻa a mālama ‘ole i ke kanaka me ke kapu akua, ‘aʻole ia he aliʻi e kū ai i ka moku. The chief who is taken with pleasure-seeking and cares not for the welfare of the people or the observation of the kapu of the gods, is not the chief who will become a ruler. Imagine hiking through Waipiʻo Valley on Hawaiʻi Island. You are without a local friend or guide (bad move!). You take a detour off the main trail (not a good idea!) 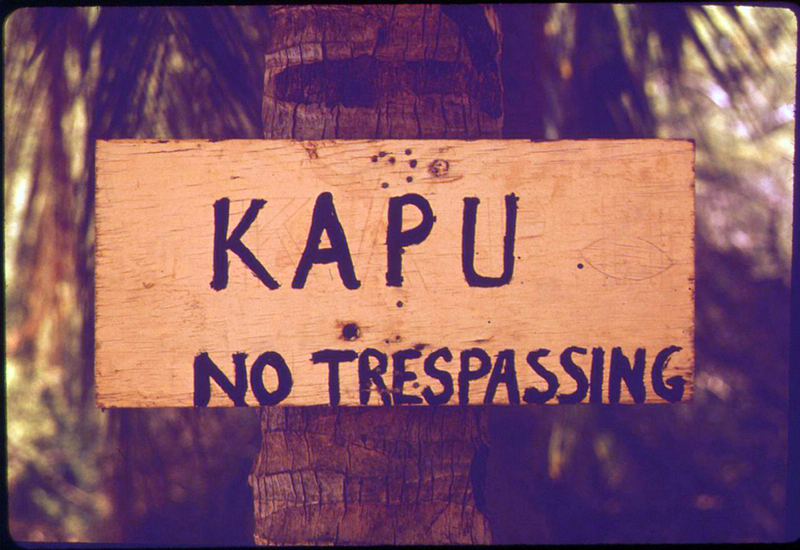 and see a tree with a sign that says, “Kapu, no trespassing.” Uh oh! What do you do? Should you run for your life? Take cover from flying objects? Should you even be there in the first place? Even if you don’t know what “kapu” means, you can tell by the rest of the sign that you are not allowed to be in that area. Kapu, like all of our words, has several meanings. Today, when you see it near an entrance to a place, it usually means the place is off limits. But what makes a place kapu today may be different from before. Traditionally, there were aliʻi, or chiefs, whose rank was so high, they were considered kapu, or sacred. 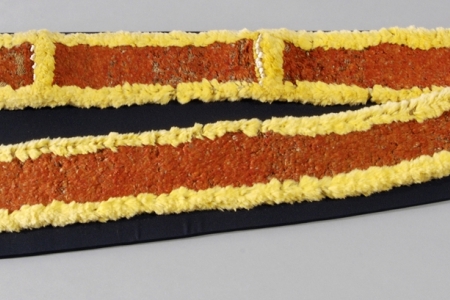 Everything about the aliʻi was kapu. Their homes were kapu. Their eating bowls were kapu. Their bodies were kapu. Even their shadows could be kapu. In order to protect that which was kapu, the gods made laws. People needed to follow those laws. The laws are called “kapu.” If you think you’re seeing double, you are. 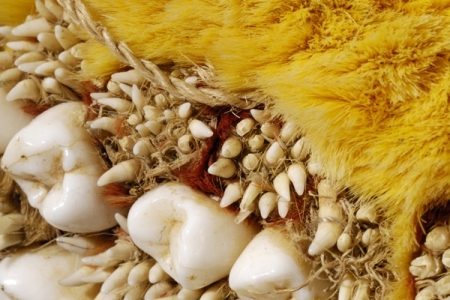 “Kapu” refers to something sacred and it refers to the laws established to protect the sacred. So the kapu protected that which was kapu. Get ‘em, got ‘em, good? Breaking the kapu was punishable. A small infraction would bring a small penalty. A serious violation would bring a heavy penalty. If someone stole offerings for a god, there would be a serious punishment. If someone entered the residence of an aliʻi kapu, there could also be a serious punishment. And so, when a kapu was pronounced upon a place, it was to protect not only the aliʻi but also the people who might be severely punished for being in the wrong place. 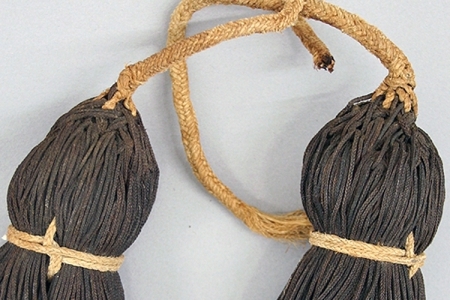 Aliʻi nui, or ruling chiefs, were responsible for enforcing kapu. They could use the death penalty for someone who broke a most important kapu. The aliʻi nui assigned lesser chiefs to help with maintaining kapu in different parts of an island. 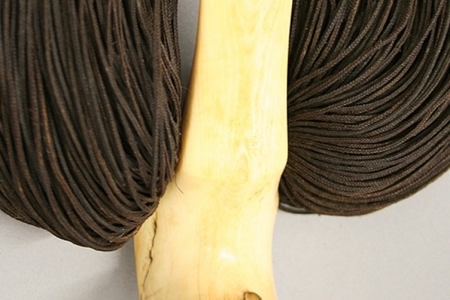 Haku, who were the leaders of ʻohana, helped maintain kapu in the ʻohana. Individuals were also responsible for following kapu. The opposite of kapu is noa. Something noa is free of rules. People could be noa or kapu. Makaʻāinana were ordinary citizens. They were noa. Aliʻi were leaders and rulers. They were kapu. Aliʻi could trace their lineage to the gods. Makaʻāinana could not. Kapu protected aliʻi. Kapu determined how makaʻāinana could approach aliʻi. Why are some things kapu and some not? It has to do with mana. Mana is the power from the gods. Mana and kapu are closely related. Something that has a lot of mana is kapu. Can fish have mana? Yes, in fact, a moi that is full of eggs has much mana. Its eggs can produce hundreds of fish. As the fish grow, they feed bigger fish or people. This ability to create future abundance gives much mana to moi during their spawning season. It’s what also makes them kapu at that time. When moi are kapu, a kapu is placed on them to prevent fishermen from catching and keeping them. The kapu placed on moi ensures that moi can lay their eggs. The kapu also ensures that there are many moi in the future. When moi are not kapu, they are noa, which is most of the year. High-ranking aliʻi held great mana. They descended from the gods and were trained to be wise rulers. They knew how to manage their lands so the lands would be prosperous. They knew how to manage their people so the people could work well together. They learned history to continue what was good and avoid what was bad. Aliʻi were also raised to care deeply for their gods, lands, and people. They played a vital role in the society. For all these reasons, aliʻi held great mana. Their mana made them kapu. The kapu protected them so they could care for the gods, land, and people. Kapu fostered a healthy society. Kapu did this by keeping order and balance in the society. People knew what they could and could not do. When people followed kapu, the society was rich with mana. The world thrived. What would happen if there were no kapu? Relationships between people, gods, and nature might be broken. The world might get out of balance. An imbalanced world might not have enough moi fish. Fewer moi means less to eat for us and for fish that eat moi. In the absence of moi, other fish would be eaten, and their numbers might be depleted. It could have an impact up and down the food chain. An entire species (or more) might become extinct. Today, some kapu are still in effect. 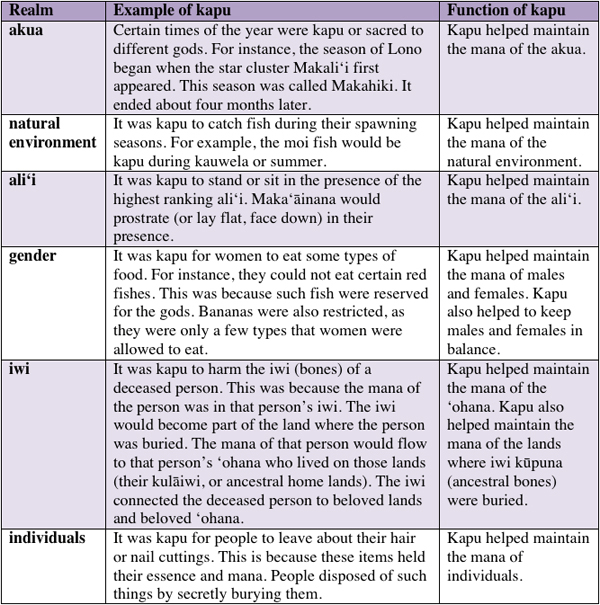 There are a lot of different ways the kapu are understood and enforced. In the hula tradition, there are kapu that regulate actions and behavior. 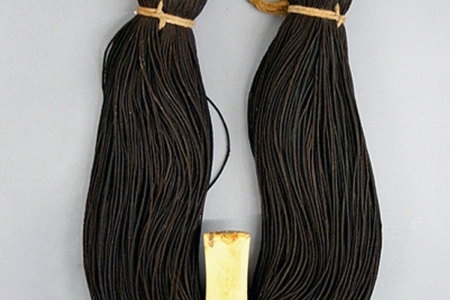 Dancers don’t ʻoki (cut) their hair and nails because they don’t want important knowledge to be cut off. They also avoid eating heʻe (octopus) and kūpeʻe (sea snail) because the names of those creatures have other meanings that might cause knowledge to heʻe (slip away) or peʻe (hide). Fishermen still observe the kapu on fish that are spawning. They do this by targeting fish that are not spawning. And, if they accidentally catch an egg-bearing fish, they release it. These kapu continue to help us find balance in our world. Our Hawaiʻi society has changed a lot, but we can see many similarities between traditional kapu and today’s laws. Both are formal rules that the government enforces. Both foster a healthy society. They are also similar regarding violations. Small violations receive small penalties. Large violations receive large penalties. Another similarity is that the greatest violations could result in the death penalty. Although Hawaiʻi does not use the death penalty, other states in the United States do. There are also differences between traditional kapu and today’s laws. A big difference is that there are thousands of laws today. In the past, there were far fewer kapu. Another difference is the role of the gods in laws. Today’s laws generally do not address spiritual matters. Kapu had everything to do with mana and spiritual matters. 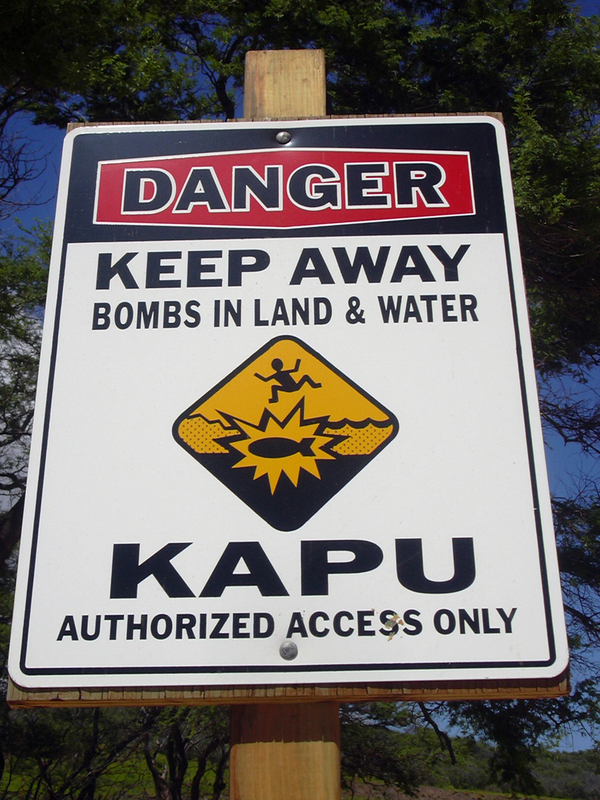 So when you see a sign that says “Kapu,” you know that there are reasons to keep your distance. Learn more about the place and the reason the sign is there. And maybe the next time you visit that place, you’ll notice things you didn’t see before. 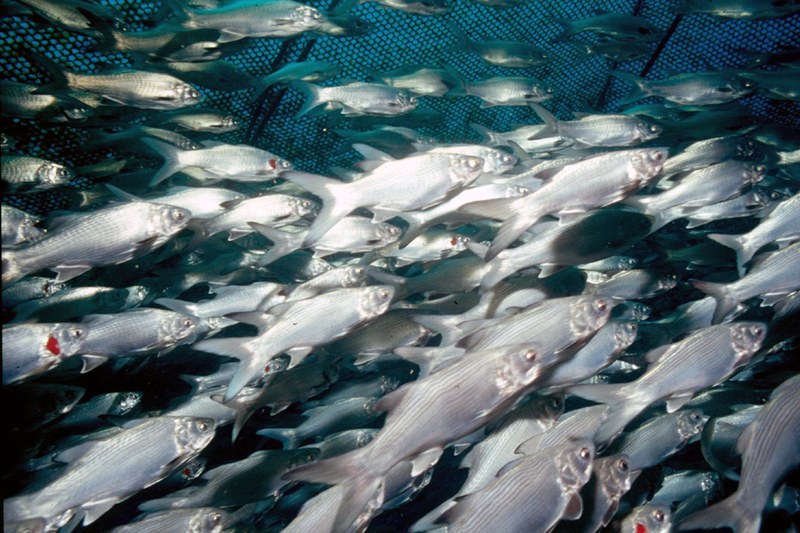 Did you know that many kapu live on in State of Hawaiʻi laws relating to fishing? As in times past, current laws place kapu (or prohibitions) on fishes during their spawning seasons. Did you know that Māʻilikūkahi, a ruling chief of Oʻahu who lived 12 generations before the time of Kamehameha, never punished lawbreakers with the death penalty? Kamehameha I was the last ruling chief to maintain the kapu. Upon his passing, high ranking chiefs such as Kaʻahumanu (Kamehameha’s wife) and Liholiho (Kamehameha’s son and heir) ended the government’s enforcement of the kapu. This occurred in 1819, the year before the first Christian missionaries arrived in Hawaiʻi. However, many aspects of the kapu were and are still followed by ʻohana.